Featuring a patio, Vacation home Borgo Erizzo is a holiday house positioned in Zadar, 1. 6 km from The Captain's Tower. 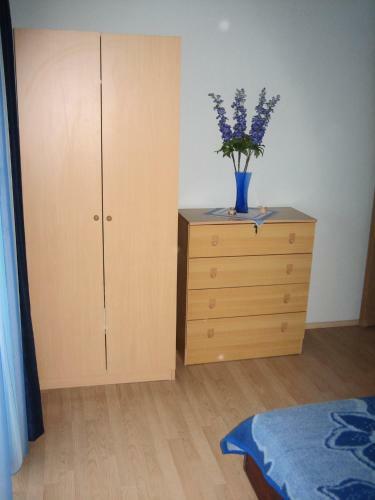 The holiday home presents air conditioning and gratis wireless internet. The kitchen has a dishwashing machine, an oven and a microwave and there is a private toilet with free toiletries and a hair dryer. Old Harbour of Foša is 1. 6 km from Villa Borgo Erizzo, while The Museum of Ancient Glass is 1. Zadar Flight terminal is 9 kilometers away. Accommodation, max 5 persons ~0,6 km, Zadar House in Zadar, just few kilometers from Zadar which is well-known as the top destination in all Croatia. 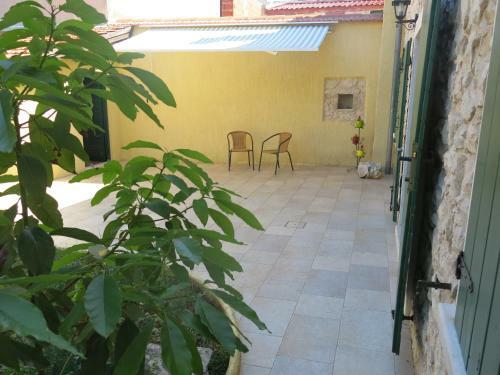 This house is comfortable, furnished in traditional Croatian style, has a great position, big terrace and all supplies that are necessary for your holiday. Parking place is also provided. Entertainment and Outdoor activities: TV, Satellite television. Distance to the restaurant: 500m. Villa Borgo Erizzo ~0.1 km, Zadar Featuring a patio, Vacation home Borgo Erizzo is a holiday house positioned in Zadar, 1. 6 km from The Captain's Tower. The holiday home presents air conditioning and gratis wireless internet. The kitchen has a dishwashing machine, an oven and a microwave and there is a private toilet with free toiletries and a hair dryer. Old Harbour of Foša is 1. 6 km from Villa Borgo Erizzo, while The Museum of Ancient Glass is 1. Zadar Flight terminal is 9 kilometers away. Poljana ( ~ 5 km ): 27+ apartments. Preko ( ~ 5.1 km ): 65+ accommodation units. Kali ( ~ 5.4 km ): 113+ accommodation units. Bibinje ( ~ 6 km ): 241+ accommodation units. Lukoran ( ~ 7.4 km ): 20+ apartments. Beach Kolovare, Zadar ~ 0,7 km from Villa Borgo Erizzo Gravel beach: ideal for families, recommended for young people, awarded with blue flag, with restaurant, with caffe bar, equipped with showers. Excellent choice of watersports. Beach Punta Bajlo ~ 1 km from Villa Borgo Erizzo Rocky beach: ideal for families, with restaurant, with caffe bar, equipped with showers. Excellent choice of watersports. Beach Uskok, Zadar ~ 3,7 km from Villa Borgo Erizzo Gravel beach: ideal for families, recommended for young people, with restaurant, with caffe bar, equipped with showers. Excellent choice of watersports. Beach island Osljak ~ 4,2 km from Villa Borgo Erizzo Gravel beach: recommended for young people, with restaurant. Excellent choice of watersports. Beach Na Skaljici, Bibinje ~ 4,2 km from Villa Borgo Erizzo Gravel beach: ideal for families, with restaurant, with caffe bar. Excellent choice of watersports. Restaurant Sabunjar, Zadar ~ 2 km from Villa Borgo Erizzo Address: Jadranska cesta 99, Zadar. Cuisine: Croatian cuisine. Restaurant Pizzeria Gusti, Zadar ~ 0,8 km from Villa Borgo Erizzo Address: Zrinsko Frankopanska 20, 23000, Zadar. Cuisine: Pizza & Pasta. Restaurant Back Door, Zadar ~ 1 km from Villa Borgo Erizzo Address: Polacisce 9, 23000, Zadar. Cuisine: Bar. Restaurant Fosa, Zadar Guest reviews: 7,6/10 ~ 1,6 km from Villa Borgo Erizzo Address: Dmitra Zvonimira 2, Zadar. Restaurant Konoba Dalmatina, Zadar Guest reviews: 9/10 ~ 1,8 km from Villa Borgo Erizzo Address: Kovacka 10, Zadar. Cuisine: Eclectic.